Christmas is a season of good cheer, but for some it can mean a time of sharpened pain. Christmas can bring anxiety, stress, and deeper sense of loss. The Blue Christmas service on Wednesday, December 21 at 6:00 p.m. is a chance a time to speak this truth about Christmas. It is okay to be hurting at Christmas. This doesn’t mean you are less faithful. It doesn’t meant that there is something wrong with you. It doesn’t mean that you are a “Scrooge.” It just means that you are human. 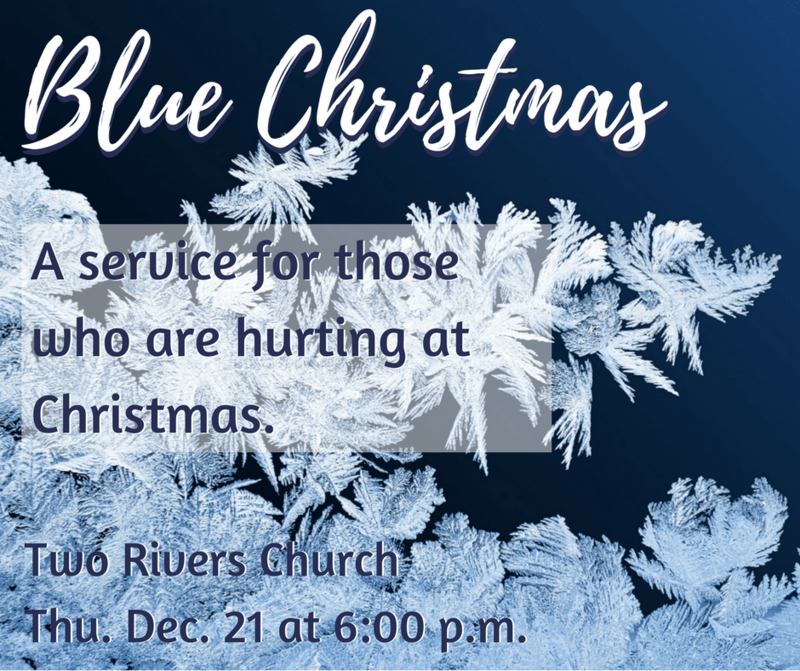 The Blue Christmas service will be a short time of quiet reflection, prayer, and contemplation. There will be a song of lamentation – or complaint. There will be a time of quiet prayer. There will be a chance to speak publicly to the pain of the season – but this is certainly not required. There will also be a short ritual of transformation and an invitation to Christ’s table. Click below to see Pastor Robb on Paula Sands Live for last year’s service.